Indian Navy celebrates December 04 as Navy Day. This day is celebrated as a tribute to the valiant maritime operations of the Indian Navy during the 1971 Indo-Pakistan war. 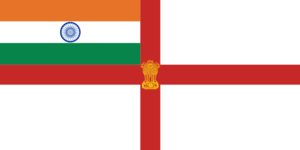 Indian Marine known as Honourable East India Company’s Marine was formed in 1612, with First squadron of British fighting ships arriving in Surat; with further developments, was renamed as Royal Indian Navy in 1934; subsequent to India’s Independence and proclamation as a Republic, in 1950 was christened as Indian Navy (IN). This year during the Navy Week celebrations, INS Jalashwa, the amphibious transport ship, formerly known as USS Trenton was the star attraction in the East Coast of India. Painting competition on November 18. Day at Sea on November 21. Navy Mela, November 22 to 25. Ships open to visitors, November 24 to 25. Naval Operations Display :The Navy will hold an ‘Operational Display’ by ships and aircrafts consisting of 19 ships, 18 aircraft and two submarines off R.K. Beach, on December 04. There will be display by ‘Sagar Pawan’ Naval Aerobatic team, beaching operations by landing crafts along with INS Jalashwa, a Landing Platform Dock, which will be taking part in the display for the first time. Navy Ball:The Navy week celebrations would be concluded by a “Navy Ball”, a popular social event to be held on December 08. This year’s special attraction would be to choose a Navy Queen. 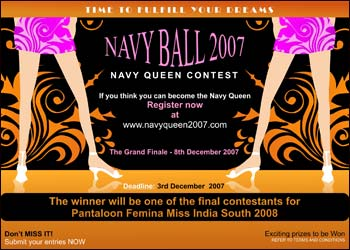 The winner of the Navy Queen 2007 will have the opportunity to be one of the final contestants for the Pantaloons Femina Miss India South 2008, to be held in Hyderabad on 23rd December 2007. The week-long Navy Day celebrations at the Southern Naval Command started with a variety of military exercises and entertainment programmes, including air shows and naval expos. One of the main attractions was, Commander Rajiv Ashok and his wife Lieutenant Commander Reshmi Singh sky diving from 4500 ft. The duo have been participating in the Navy Week for the past few years and jumping from heights above 14000 feet. The operational demonstration of the Navy’s firepower, display of missile, guns and other equipments used on war ships will be shown during the Navy Week. Naval band performances, football championship and medical camps will be organised as part of the celebrations, which will conclude on December 08. 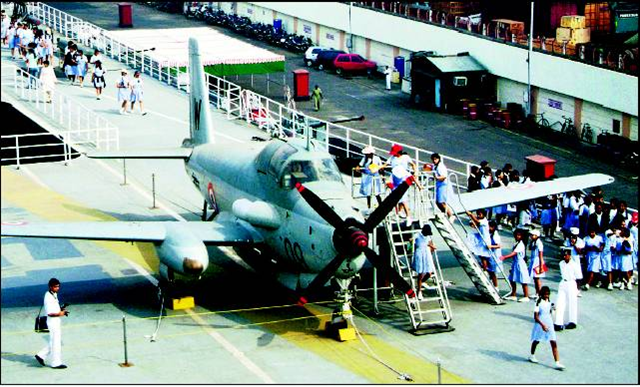 Excited schoolchildren take a look at an aircraft on display at the Indian Museum Ship ‘Vikrant’ on Sunday, December 02. 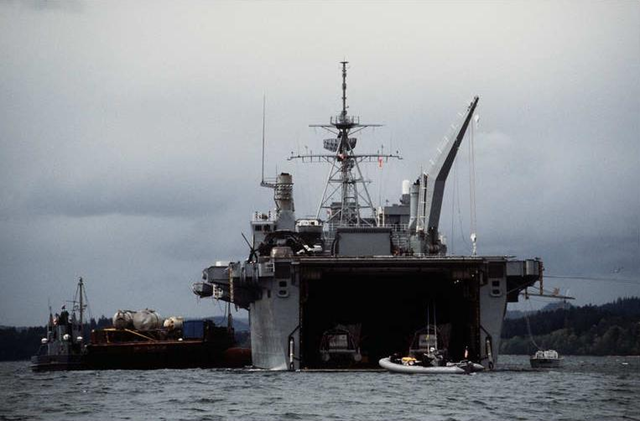 Over 10,000 people visited the unique floating museum as part of the Navy Week celebrations. The ship will be open to public till December 09. Also, during Navy Ball 2007, Navy Queen 2007 would be selected. 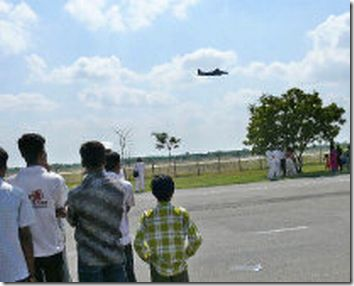 Visitors watching an aerobatic display during the Navy Mela at the Naval Air Station in Arakkonam on December 01, Saturday. INS Jalashwa, star attraction this year. When Vikrant ship open to see a common people ? When one common man can visit and see celebrations at Southern Naval Command, Kochi in Dec-2011, during the naval week ? I want to participate in next 6 Km. 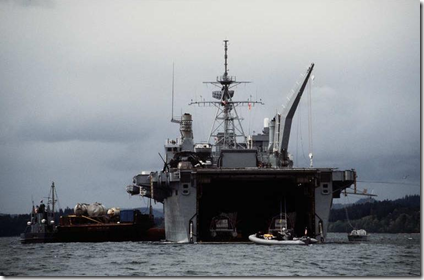 Swim marathon (open sea) which will be conducted by Navy. Let me know the date, place and schedule for the same. This time unfortunately I missed it due to lack of information. Chandanwadi, Thane (W) – 400 602. Myself a resident from mumbai ALONG WITH MY FAMILY want’s to visit the vikrant as well the navy week exhibition at the tiger gate,pls. send mail regarding the same on the above given email ID,As we are planning TO VISTI ON FRIDAY(9.12.2011).